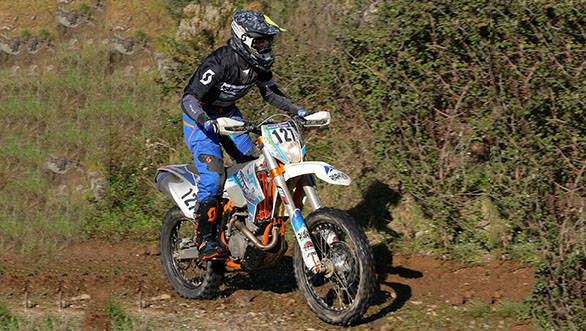 The second round of the 2019 FIM Bajas World Cup, the Baja do Pinhal, concluded in Portugal on Sunday. The rally was a two-day event, conducted over 364.69km, and both Indian riders taking part in the event managed to make it to the finish line. 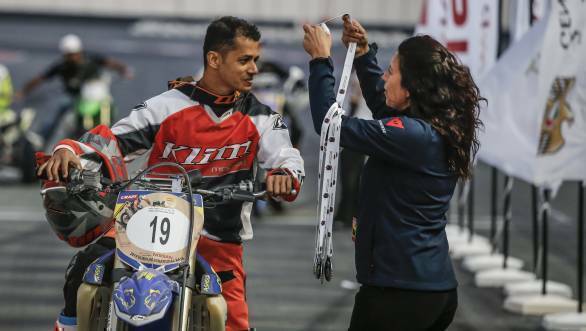 Ashish Raorane, who also competed in the first round of the FIM Bajas World Cup - the Dubai International Baja - ended the Portugal round 27th overall. The Indian rider, who was only competing in his third international event, finished eighth overall in the FIM class. Aishwarya Pissay, who rode a TVS RTR 450 at the event, ended the rally 29th overall. This gave her third place in the women's category, behind Rita Vieira and Sara Garcia. Pissay was also ranked fourth overall in the junior category. Speaking of his performance at the rally, Raorane said, "[I was a] bit slow on the pace today through the middle of the stage, and [I] couldn't make up the time lost to penalties yesterday. Starting down the order also meant getting stuck in dust from quads that eventually caught up." However, he also said that he was very happy to get to the finish of a "very technical and tough but fun race." Meanwhile, Pissay said, "I am extremely thrilled to have completed this rally and collect points for the Baja World Cup. The rally was quite challenging with lots of enduro sections, but I managed to avoid any crashes. With the nerve strain on my hand, I couldn't push up my speeds and that affected my overall performance. I will continue to train and learn from this experience to be fully prepared for the Baja Aragon, the third round of the World Cup in July 2019."